An example of a LLIF device. SpineEX, Inc., a spinal device development company, has obtained additional clearance from the U.S. Food and Drug Administration (FDA) for their Sagittae system for lateral lumbar interbody fusion (LLIF). With this additional 510(k) clearance following their initial FDA clearance in October 2018, SpineEX seeks to achieve full-scale commercialization. 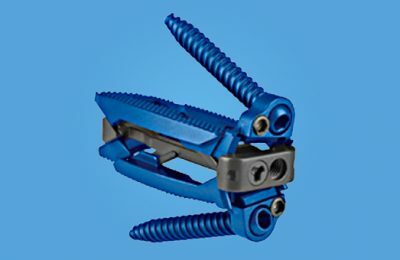 The additional clearance for the LLIF device covers the addition of new system instrumentation and an update on surgical technique in order to allow surgeons a refined implant sizing process and the ability to manipulate the anterior and posterior sides of the implant independently of each other. The Sagittae LLIF device aims to achieve lordosis, vertebral endplate contact, and posterior column decompression for each patient to experience optimal results. Spinal market research published by iData Research reveals that LLIF devices are currently experiencing strong double-digit growth. While the technology is still young, new products utilizing LLIF technology have proven to be very promising. As such, technological improvements in the overall interbody device market, such as LLIF, are projected play an important role in the prosperity of this segment throughout the forecast period. After receiving this new FDA approval, SpineEX has been collaborating with several long-term suppliers to manufacture the Sagittae cages and instrumentation in order to prepare for coming commercialization, expected to occur later this month. More on the spinal implants and VCF market in the US can be found in a series of reports published by iData entitled the US Market Report Suite for Spinal Implants and VCF – MedSuite.